Tomorrow is the 300th anniversary of the Act establishing the Commission for Building Fifty New Churches in London, following an earlier Act to set up the principal intention the previous year. They were enacted partially to fulfil the spiritual needs of London’s burgeoning populus, but mainly to cement the authority of the Church of England against Catholicism and popular non-conformist sects: the Jacobite threat still had over three decades to run its course. The moving force behind the Act was the new Tory government, freshly ensconced after 22 years of Whig rule. 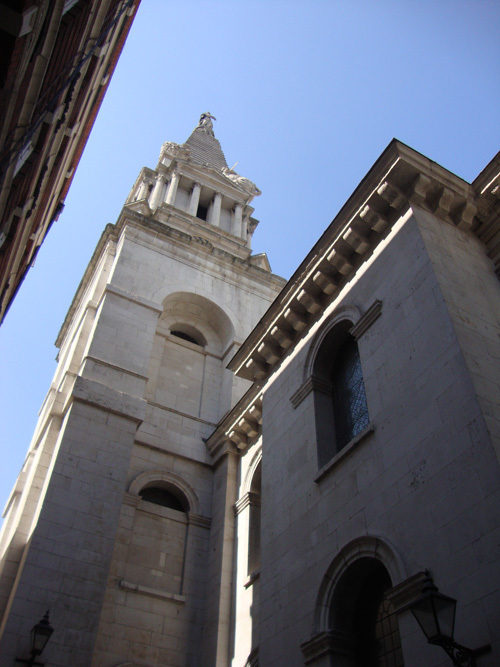 The men who were to build the churches learned their trade at the foot of Sir Christopher Wren. They were led by Nicholas Hawksmoor, who began his career as an unschooled (in architectural terms) clerk and whom Wren took under his wing. 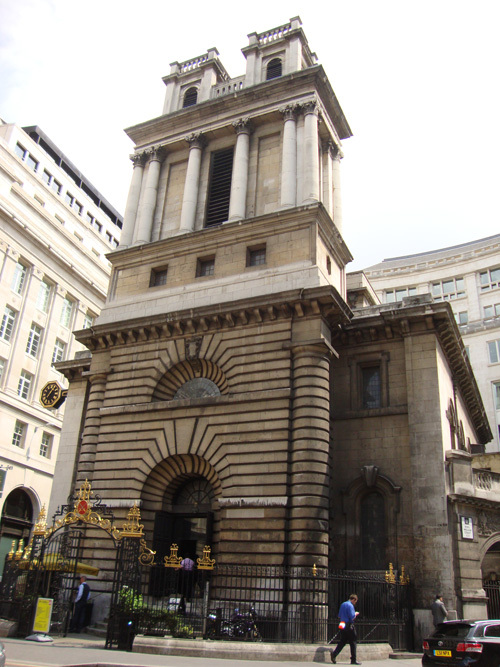 Hawksmoor was a prodigious talent, a man who found practical solutions to any architectural challenge and who could, and did, turn his hand to many architectural styles, often mixing and matching, frequently nicking – magpie fashion – a bizarre design idea, the prime example being the ribbed steeple on St George’s Bloomsbury. In the end, just twelve churches were built under the auspices of the Commissioners for Building Fifty New Churches. A further five were subsidised and two existing churches purchased. Of the twelve, Hawksmoor was responsible for six, and had a hand in another two. 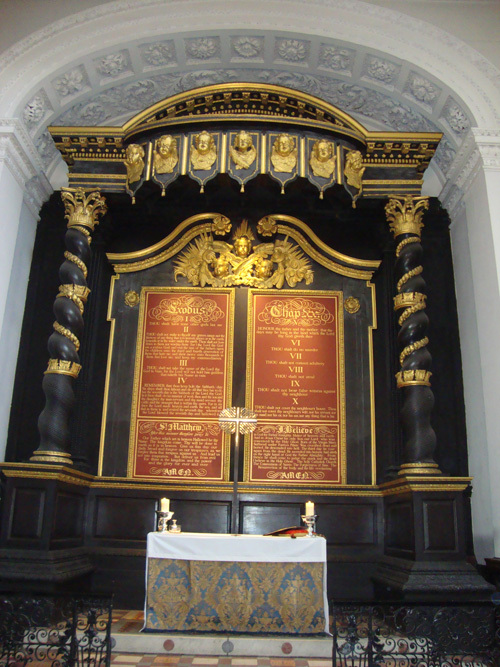 From the magisterial and magnificent Christ Church in Spitalfields to the intimate St Mary Woolnoth in the City, all will reward a visit, all have quirks and a tale to tell. All have the unmistakable stamp of Hawksmoor and an inevitable whiff of Wren, stronger in some than others. 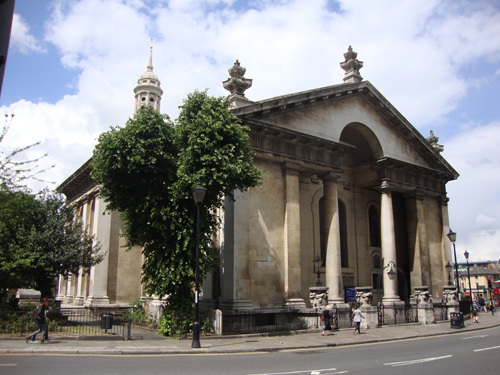 Christ Church and St George’s Bloomsbury have both benefitted from very recent total restoration, sympathetically executed. But be sure to check public access times, some are restricted. St Mary Woolnoth. 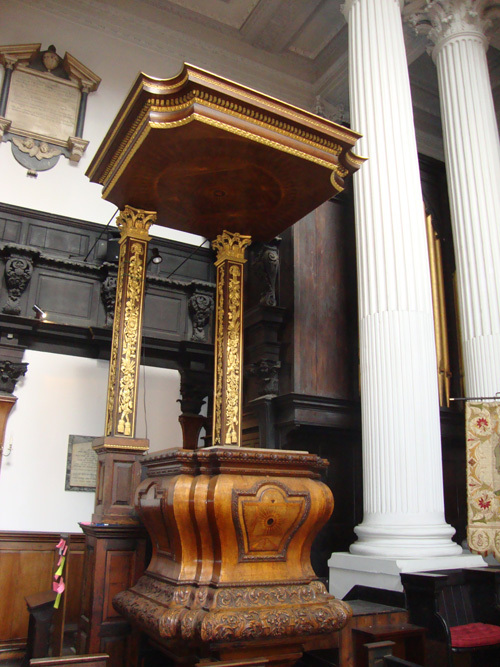 Original pulpit. Exquisite. Christ Church, Spitalfields. The famous aspect. St George's Bloomsbury. Image doesn't really do justice to the wacky spire, sorry. St George's Bloomsbury. 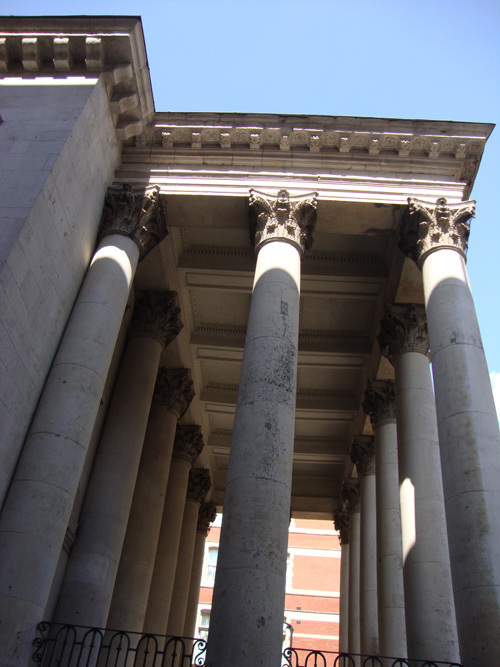 Very traditional classical portico. A riot of Corinthian columns. 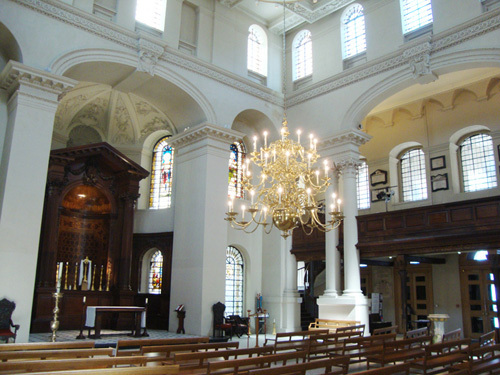 St George's Bloomsbury interior. Alignment 90 degrees to the spine of the building by Hawksmoor to maximise the length of the altar axis. Clever man. 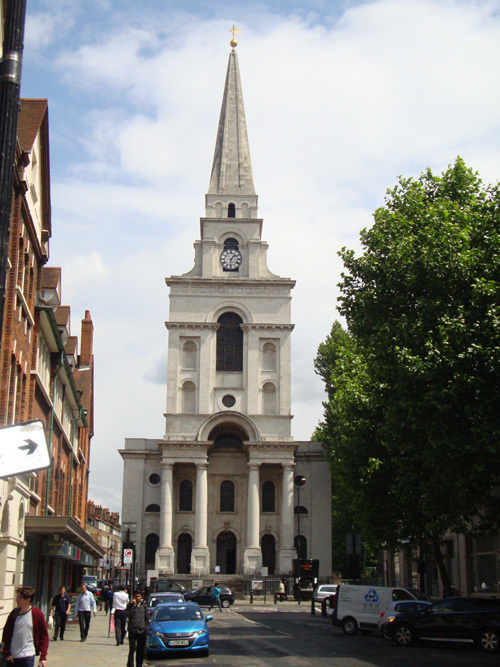 The Friends of Christ Church Spitalfields run a coach tour of Hawksmoor’s churches usually once or twice a year. I did the tour a few years ago which I found very interesting. The tour also included lunch at a riverside pub. Useful to know, thanks. I actually did one with art historian Owen Hopkins a few weeks ago, featuring the four per these photos. But we all used riverboat, public transport and shank’s pony. 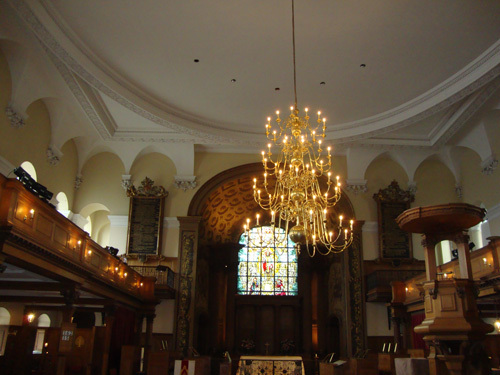 Mike, nice piece and photos on the 50 New Churches Act and Hawksmoor. I’d have to disagree on one point though. The Act was an Anglican/Tory reaction against Protestant Non-Conformists, not Catholics. After all, many of the Tories who introduced the Act were themselves High Anglican Catholic/Jacobite sympathisers, so in a sense it was a swing in favour of Catholicism and not against it. Good point. 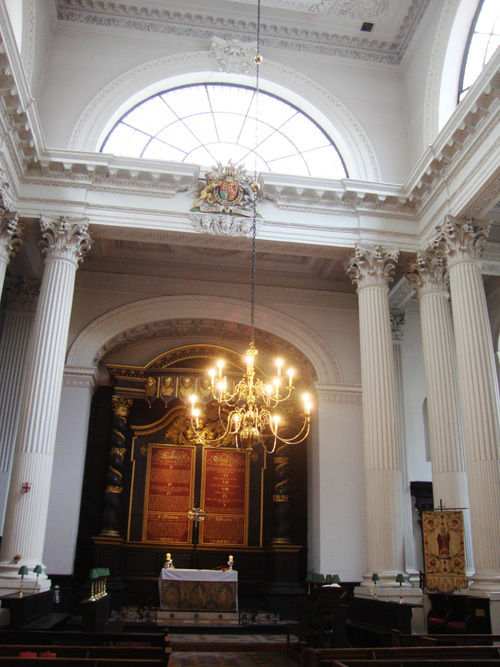 St Mary Woolnoth has high-church trappings even today. I know that many Tories of the time were more relaxed about Catholicism but this is not the same thing as being actually pro-Jacobite i.e. how they were characterised by their enemies. But I’m not that well-versed in the politics of the period, I’ll get to it in due course!